Home / Blog / What does your hair say about your health? Do you have dry, dull hair and split ends? These widespread hair problems could tell you a lot more than you think. A lot can be concluded about a person just by looking at their hairs air and it is not limited to just the color, cut or style of the hair. Forensic specialists use hair samples as a proof of DNA for long times, and a recent study on hair protein suggested that it is possible to identify a person exactly by looking at a person’s hair only. Apart from laboratory research, you can find out about your general health situation by asking how much you are stressed and what kind of eating habits you have by looking at your hair. Do you have hair shedding?
) if you are losing so much hair every time you brush your hair or run your fingers through it, this could mean that you are having nutrition problems. In general, you may have iron deficiency if you are experiencing hair loss problems. Some drugs such as antidepressants and birth control medications mention hair loss as one of the side effects of using these drugs, and usually it is temporary. 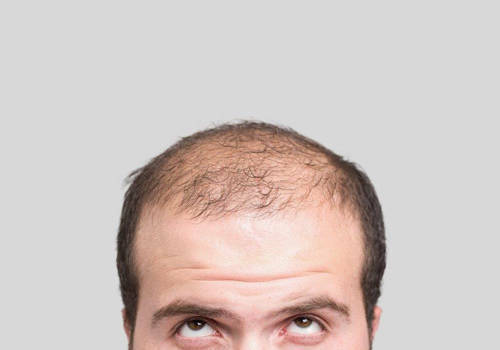 If your hair loss is severe, it may be an alopecia triggered by stress, metabolic or endocrine problems. We may characterize hair loss as a reaction of body to the stress. Many women lose their hair after having a baby; this can be a traumatic condition on the body and can prevent hair follicles from growing. Hair loss is not an issue to be underestimated. With a detailed evaluation, the patient’s story should be listened and the underlying reasons of hair loss must be examined. From time to time, all of us have broken and split ends. The overuse of heat-related hair styling tools and chemical products in general is causing these problems. However, if your hair is severely dry or weak, it is useful to see a doctor. The underlying cause in people suffering from permanent dryness problems in their hair is thyroid abnormalities. A blood test is recommended to control both thyroid and iron levels. Almost 35 % of premenopausal women have low iron levels and 15 % of women have thyroid abnormalities that could lead to having hair problems. If your hair, which normally looks fairly bright, starts to get dull and there is no abnormality in your blood values, this may be a sign of an unhealthy eating habit. In some women, hair may become dull and worn due to nutritional problems, and vitamin levels should be considered in such cases. Hair is consisted of a protein called keratin. If your diet does not contain enough protein, this could make your hair really weak and lean. Do you have dandruff problem? Dandruff is a problem that affects about 50 percent of the world population. Dandruff is not usually a sign of a health problem. In a recent research, it has been found that the dandruff is not associated with fungi on the scalp, but rather with bacteria. Therefore, maintaining the bacterial balance may be a critical factor in preventing dandruff formation If the dandruff color is yellow and extends towards the face and back of the head, it may be a sign of inflammatory skin disease called seborrheic dermatitis. Your doctor or dermatologist can prescribe a specific shampoo or topical treatment. Your hair starts to gray before 40? Contrary to what is thought, gray hair is not related to stress. When the color-producing cells in your scalp called melanocytes stop producing melanin, the hair turns gray. The process is typically related with aging. If your hair begins to gray before 40, there is nothing that can be done, it’s a genetic issue. However, there is still promising news: studies conducted in London, researchers have found out the gene that is responsible for graying and they state that it might make it possible to develop medicines to turn the grayed hair normal.